Keeping your desk clutter-free is one of those next-to-impossible tasks that’s necessary to be productive. If you’re looking for ways to help you with that, take a look at Re:ease, a modular desk organizer that houses 11 different functions. 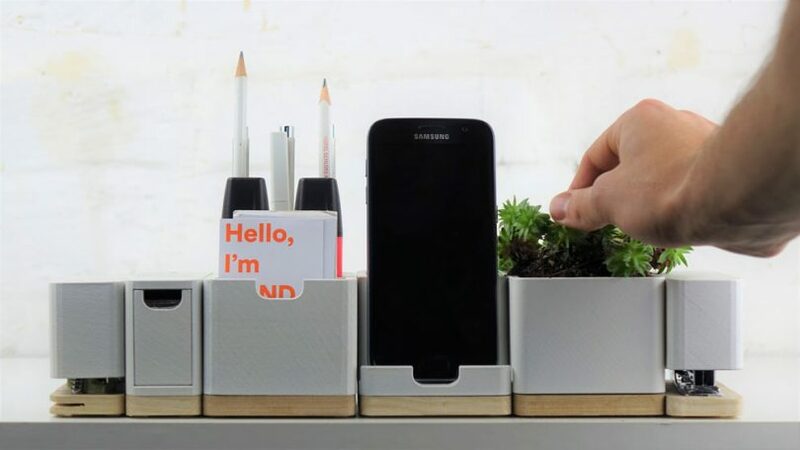 Founder Marc Stu?ber and engineer Laurent Hartmann set out to reduce desktop distractions and “release” your desk from unnecessary junk with a clean, minimalist design that includes a hole punch, stapler, pen holder, wireless charge station with extra storage, 2 USB plugs, plant pot, pencil sharpener, and tape dispenser.